Ford F150 alternators are numerous in styles and amperage, which are designed for a multitude of accessories and equipment. Ford has alternators with external fans as well as internal. They also have internal and external regulators. The amperage ranges from 90 to 215 amps. 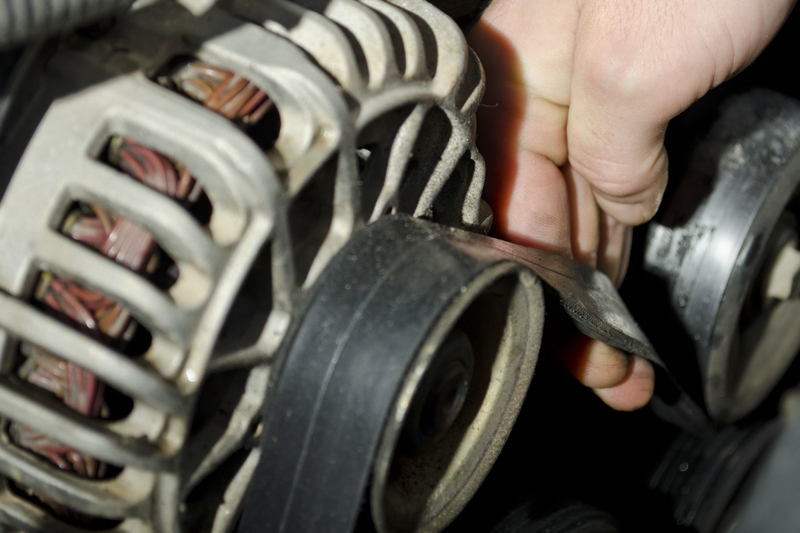 Alternators should always charge the battery at a minimum of 2.5 volts over base voltage, which is battery voltage. 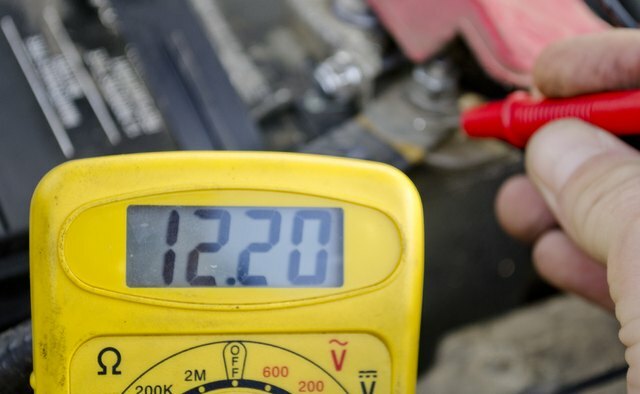 With all the electrical accessories on—lights, air conditioning and radio—the voltage should be at least a half a volt higher than battery voltage. 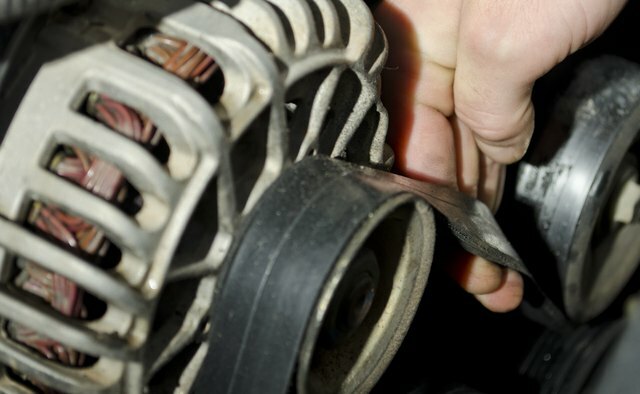 Check the belt tension and the physical appearance of the belt to make sure it is not slipping. 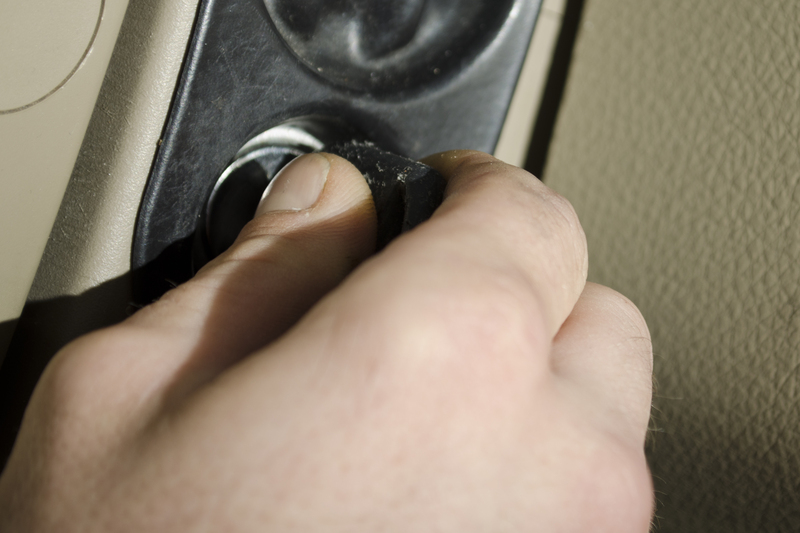 Check the starter-relay fuse and replace it if necessary. Check the charging fuse if there is one. This depends on the year of the truck. The fuse block is on the driver’s side fender well. Turn the ignition key on but do not start the engine. 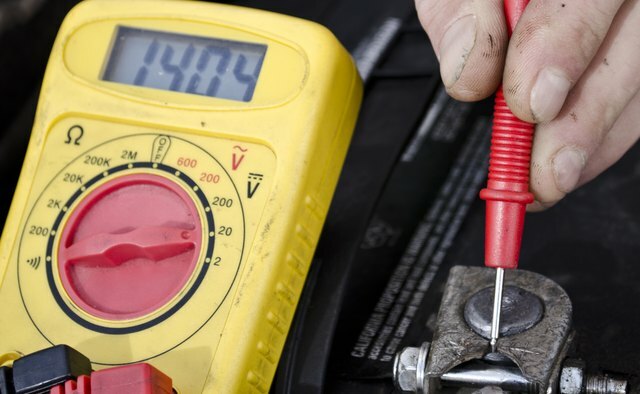 Check to make sure there is power to the large battery, plus wire on the back of the alternator, by connecting the voltmeter’s black ground lead to a good ground. Use the red lead to probe the terminal to which the large diameter wire is connected. There should be battery voltage at this post. 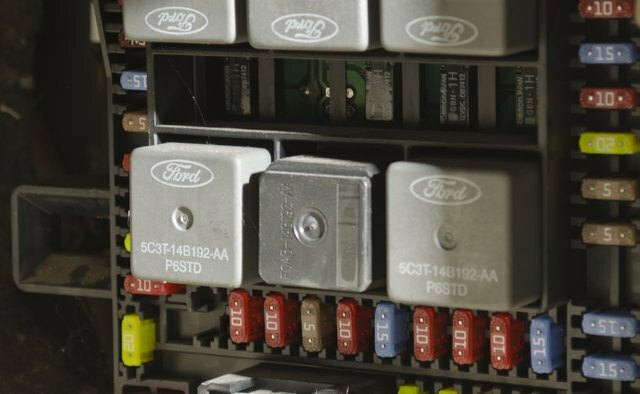 If no voltage is indicated, check the fusible link below the starter relay in the same box as the fuses. 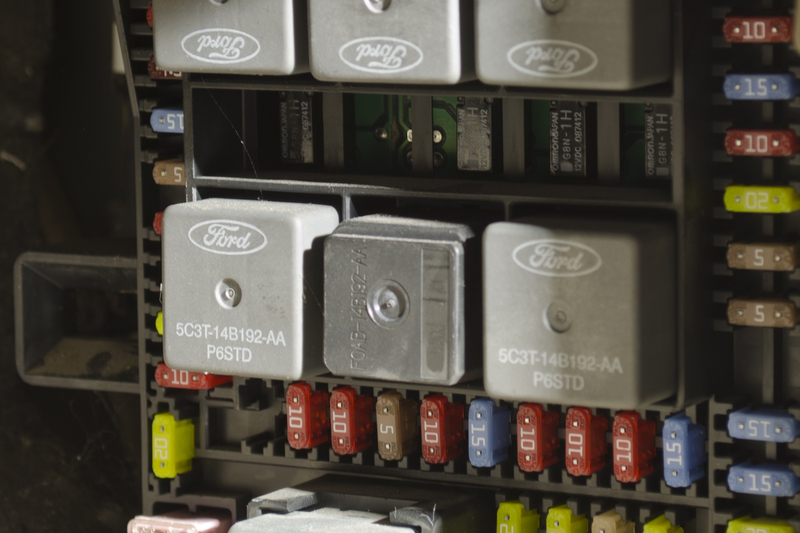 Look at the lid on the fuse box; it illustrates the position of the starter relay. Look at the wires coming out of the starter relay at the bottom of the box; the wire with the wrinkles in the insulation is the fusible link. Check the voltage before and after the link, using the red probe of the voltmeter. If there is voltage before the fusible link and not after, the link is open and must be replaced. If there is no voltage in either place, the starter relay is bad. Place the voltmeter’s red positive probe and the black ground probe to the corresponding terminals on the battery, to check the battery before you start the truck. Record the battery’s base voltage which should be about 12.75 volts. 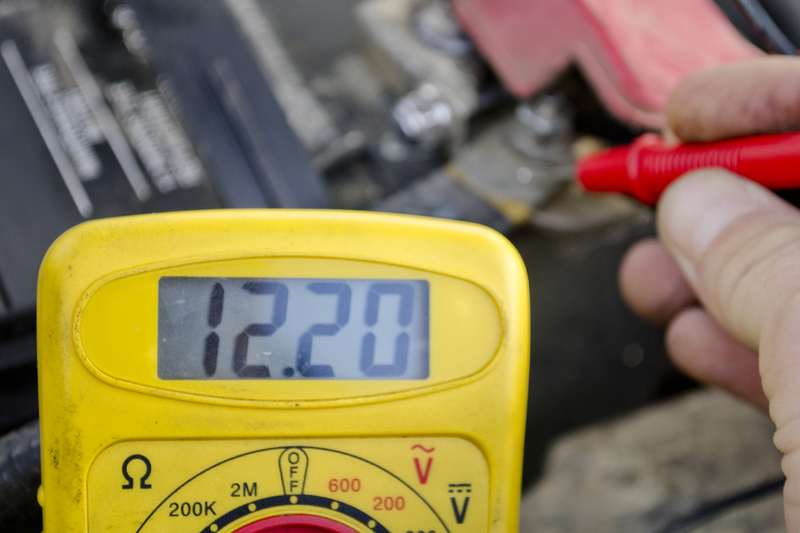 If the battery voltage is under 12 volts, there may be a battery problem. Start the engine and monitor the voltmeter. It will take a few minutes for the voltage to stabilize. 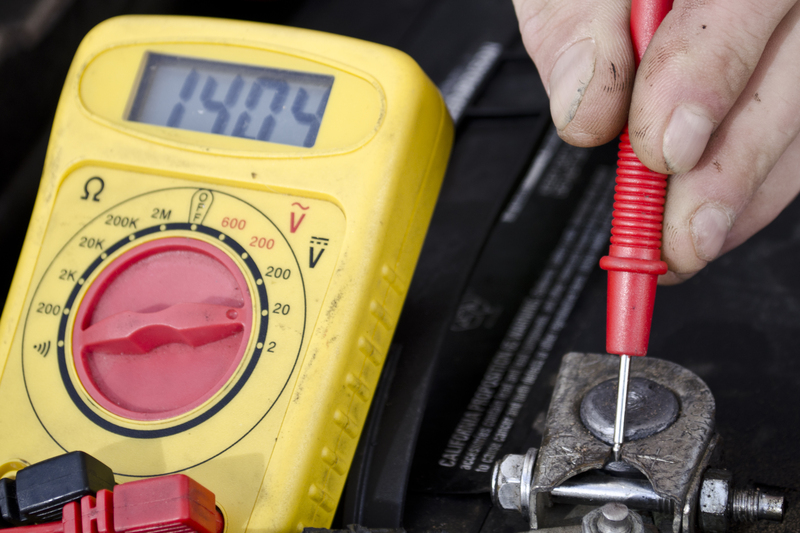 The voltage should be a minimum of 2.5 volts over the battery’s base voltage. This equates to close to 13.8 to 14.5 volts. If the voltage displayed is under 13.8 and the battery is good, the alternator is undercharging. This means it has a bad diode trio. The diodes are like one-way valves. They allow the alternating voltage (AC), which fluctuates back and forth in both directions to move in one direction only, hence you have direct voltage . When the diodes fail, the voltage and amperage drops. An alternator can operate with one bad diode; however, it will only charge the battery slowly and it won’t charge when the lights and air conditioning are on. If the alternator displays more than 15.5 volts, it is overcharging, which means the voltage regulator has failed. In this case, with a little mechanical ability, a new regulator can be purchased, the alternator disassembled and the regulator replaced. Otherwise, replace the alternator. 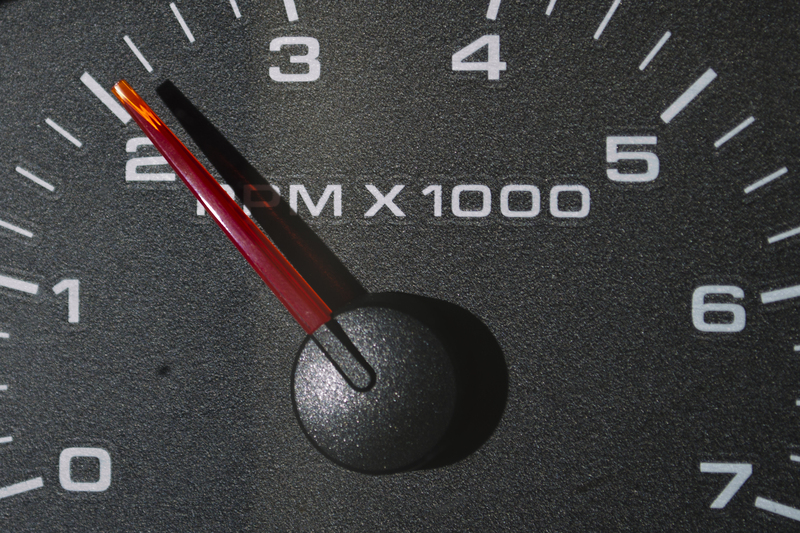 Turn on the headlights, air conditioner and radio and raise the engine rpm to 2,000. Read the display on the voltmeter. If the voltage is below 13.5 volts, a diode trio is bad. If the voltage is over 15 volts, the regulator is bad. The target voltage is 13.5 to 14.5 volts for a good alternator. You must understand the relationship between the battery and the alternator because one won’t work properly without the other. A battery with a bad cell is like a soda can with a small hole in the bottom of it. The alternator will never be able to fully charge the battery. A battery with a bad cell may display 12 volts when charged; however, it will not keep the charge. Not only will it not maintain its state of charge, but for every cell that fails the amperage, the charge will diminish. A battery can display 12 volts with most of the cells bad, but it won’t have enough amperage to turn on the lights. A battery that will start the car 10 minutes after the engine is shut off but will not start the car a few hours later has a bad cell.